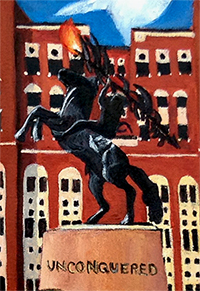 "Unconquered. 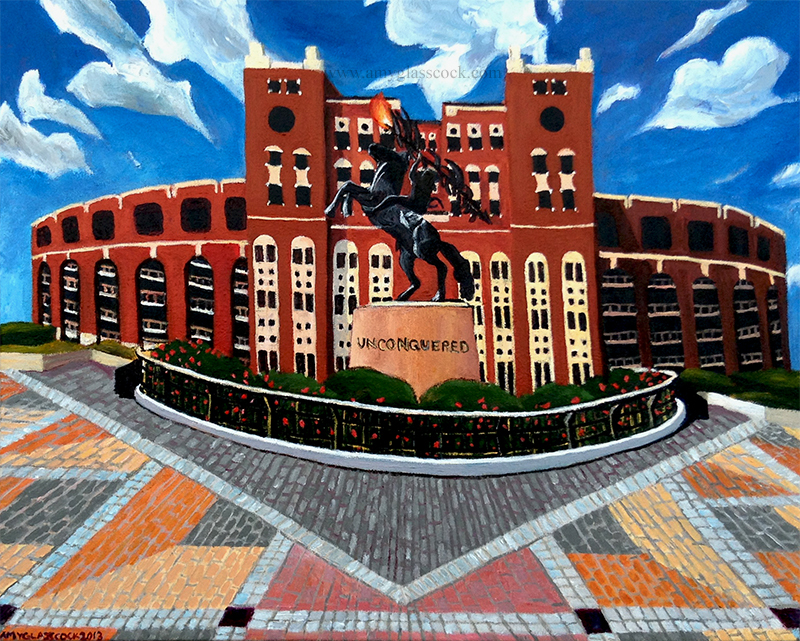 (Doak Campbell Stadium, Florida State University.)" Florida State University Seminoles, in Tallahassee Florida, are affectionately named after the Seminole Indian tribe which derives its name from the Spanish word for "wild men". This tribe escaped captivity in the British colonies to the north and found refuge in the Spanish territory of Florida. They survived wars with the U.S. and they even survived the harsh landscape of the Everglades and remained unconquered. It just so happened that the day I experienced this statue for the first time I had been thinking a lot about this sort of perseverant spirit, as I was walking through some hard times in my own life. And as I stood before this strong lively horse with a rider that was not even close to giving up, I thought of all the ways that God had provided for me and brought me through my troubles. I was unconquered by fear because of his love and provision for me. And I knew that I could continue to fight and believe that he will keep his promise to take care of me and never leave me.